In June 2006, Yahoo offered $1 billion to Mark Zuckerberg, then 22, for Facebook. He turned it down, saying the bid undervalued his company, which was barely 2 years old. On Oct. 23, 2006, the Dow Jones Industrial Average topped 12,000 for the first time. The April 2006 issue of Vogue magazine featured a two-page Annie Leibovitz photo of Donald and Melania Trump. It showed the star of “The Apprentice” behind the wheel of a $600,000 Mercedes he had given his wife a year earlier, while Melania, obviously pregnant, posed in a gold bikini and heels on the steps to a jet. Pennsylvania welcomed its first legal casino, Mohegan Sun Pocono, which brought 1,100 slot machines but no table games to an area once famous as a honeymoon destination. Now, Facebook’s market value is around $400 billion, and Zuckerberg himself is worth around $65 billion; the Dow has surpassed 26,000; Melania Trump gave birth to Barron in March 2006; Donald Trump moved from TV to the White House. It’s been a busy 11 months since the expansion became law. The measure set specific deadlines for auctioning the mini-casino licenses and regulating DFS. Thus far, licensing fees associated with the expansion total $267 million. Eleven operators are seeking to offer iGaming, with a few licenses still available. Three operators have formally applied for sports-betting licenses, which carry a $10 million fee, and more applicants are likely, despite the high fee and a 36 percent tax rate roundly criticized as exorbitant. Five operators have won bids to build satellite casinos, with up to five more licenses available; and nine operators are offering DFS wagering, which started in May. For players and operators alike, the big question is when online gaming and sports wagering will start in Pennsylvania. “It’s arbitrary to pick a date,” O’Toole said. “We’re moving forward with all deliberate speed.” That includes verifying that each applicant meets licensing requirements; testing and certifying equipment; and determining that operators have proper accounting. He said the process is designed to ensure that the new offerings, like all types of casino gambling, have “a high level of integrity,” are “fair to the gaming public,” and guarantee accurate revenue calculations. “All of those things will be coming together, and we’ll be able to offer Internet gambling and sports wagering in the not-too-distant future,” O’Toole said. 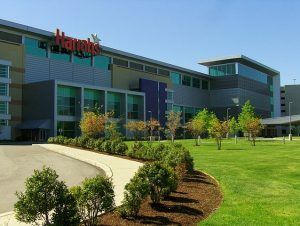 The Gaming Control Board issued online certificates to Harrah’s Philadelphia, Parx and Mount Airy casinos on Aug. 15, and representatives of SugarHouse in Philadelphia and Penn National formally presented their plans to the board on Sept. 12. O’Toole said most, if not all, of the remaining applicants will be heard on Oct. 3 and Oct. 31, so online gaming would not be able to start before November. The only Pennsylvania casinos not seeking an online certificate are the Meadows and Lady Luck Nemacolin, both in western Pennsylvania and both with parent companies that obtained online certificates for other casinos in the state. The expansion law established 39 online gaming certificates – 13 each for poker, slots, and table games, based on the number of licensed casinos when the law was passed. Three poker certificates and two in each of the other categories remain. Operators with no existing Pennsylvania operations may apply for those licenses from Oct. 3 through 31; the certificates, costing $4 million each, will be awarded in a blind drawing, with operators able to request multiple types of certificates. When sports betting launches, operators will be able to accept bets at a casino, online, or at a racino’s off-track betting facility. Betting will be allowed on professional and collegiate sports, including professional car racing, FIFA soccer, and the Olympics. Exchange wagering, which allow bettors to be with or against each other, will be permitted, as will proposition and in-game bets. The advent of truck stop VGTs seems to be a little farther down the road, partially because of the qualifications the law imposes. An eligible truck stop will be able offer up to five VGTs, with a $5 maximum bet, a $1,000 maximum payout, and a theoretical payout of at least 85 percent, the same minimum rate as casino slots. To be eligible, a truck stop must be licensed lottery agent situated on a site of at least three acres, sell an average of 50,000 gallons of diesel per month, and have at least 20 parking space for commercial vehicles. In addition, 10 counties with existing casinos have opted out of allowing VGTs at truck stops within their borders. Control Board records show that as of Sept. 13, four VGT operators have received conditional licenses, with six other applications pending. Sixteen truck stops have been granted conditional approval for VGTs, with 12 other requests on file. O’Toole said regulators not only must inspect the truck stops to check that they meet the requirements but also monitor training of employees who will monitor VGT operations, verify internal controls and test VGTs just as the board tests casino slot machines. So far, none of the 15 airports eligible for airport gaming have applied for a license. O’Toole said the airport authority must first partner with an operator that has an Internet gaming certificate.